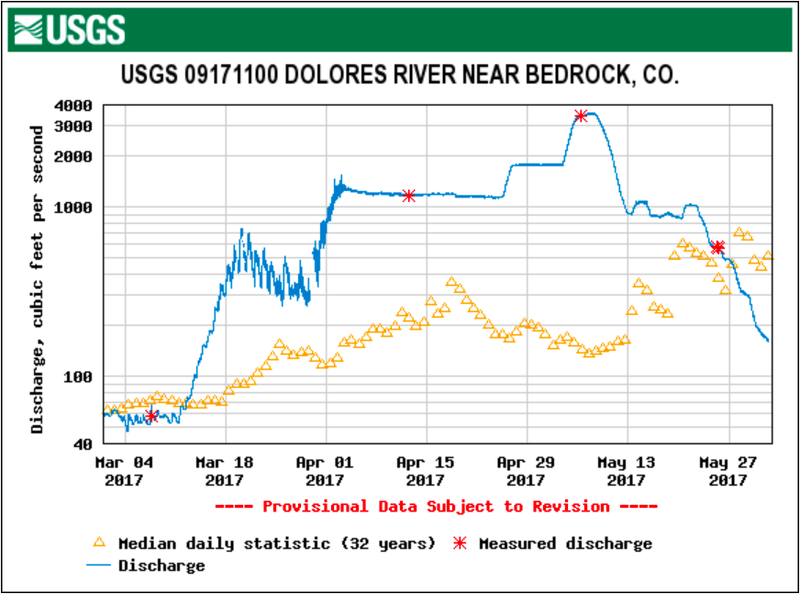 McPhee Reservoir managers have announced that rafting flows on the Dolores River below the dam will start up again for at least a few days next week. Record winter snowpack easily filled the reservoir and provided for a 52-day rafting season that ended May 25 so the reservoir could be topped off. But lingering high-mountain snows continue to provide ample runoff that is more than the reservoir can hold, so another release is necessary. Curtis said the three-day release could extend to five or longer depending on inflows and weather. Managers will be giving daily updates beginning Monday on the release schedule. The Colorado Basin River Forecast Center is predicting an increase of inflows into McPhee this weekend. Depending on actual volume, the latest rafting release could be up to a week or 10 days, officials said. To accommodate boaters on multiday trips, ramp-downs for this release will be slower than usual, dropping 100 cfs per day to allow time for boaters to get off the river.